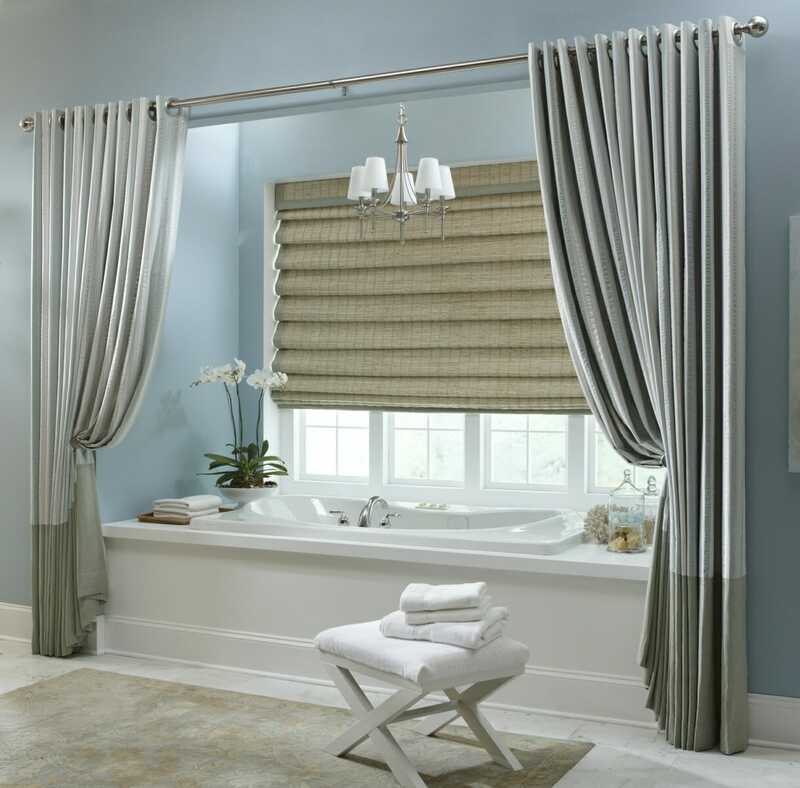 Bathrooms can be a tricky room for window coverings, but it really depends on the size and shape of your bathroom and where your windows are. The big difference with bathrooms is moisture. If you have a window in your shower you obviously won’t install a wood shutter, but a vinyl or composite shutter works perfect, we can even put 2” or 2 ½” faux wood blinds as long as the water is not directly hitting the mechanisms. Keep in mind they may not last 15 years like the other shades in your house. Other things to think about would be your tile or surface we would be mounting to. Drilling into nice tile or marble is something that you want to be aware of. Maybe you don’t want all the fuss then install a simple frosted or decorative window film and you will have all the privacy you want. Another common bathroom consideration are the windows in front of a bathtub. 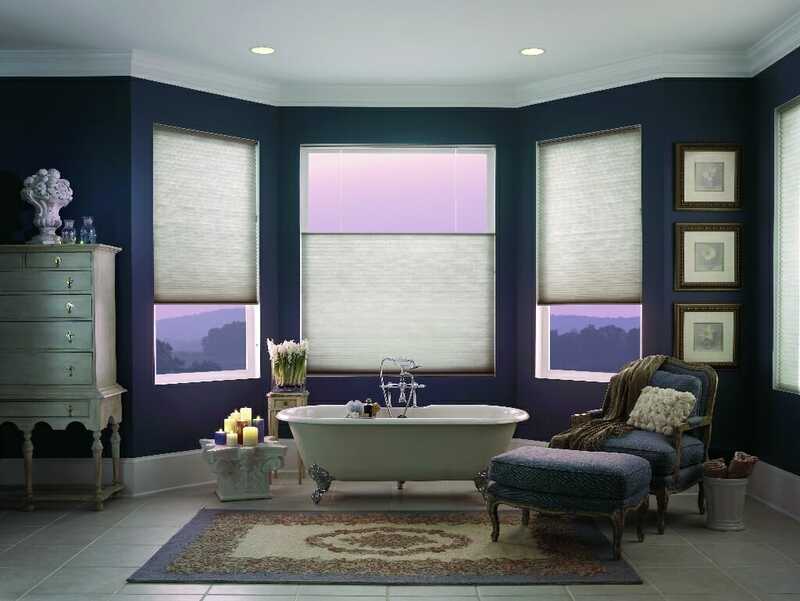 How annoying is it to step into your tub to adjust your window coverings? 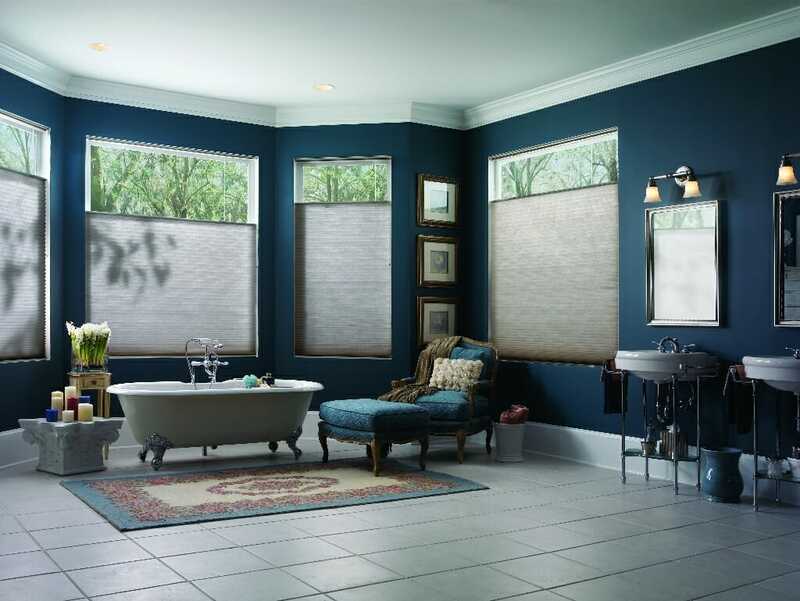 No better product than a motorized sheer shade that gives you simple elegance and privacy when it is down and it almost disappears when you want to let the sunshine in. Maybe the window is too close to neighbors, no problem. 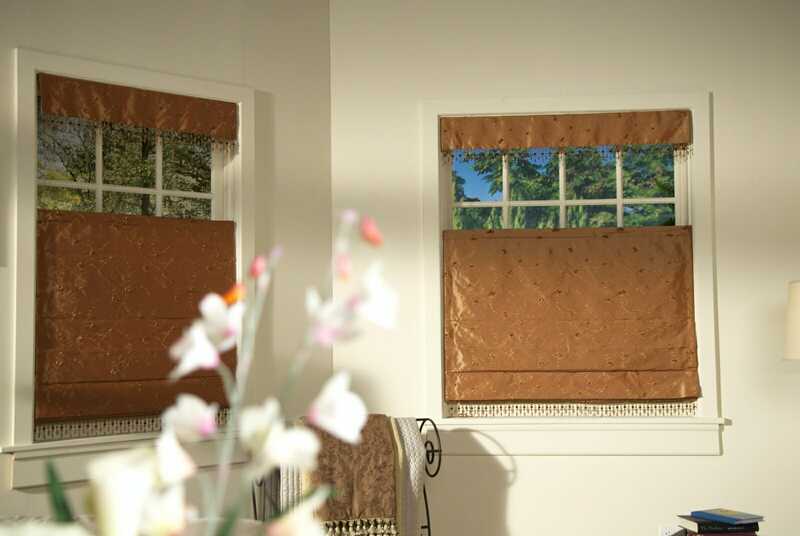 You can tilt them open and get privacy during the day while still being able to see out, now that is versatility in one shade. Slap a wall switch in for motorized control so you never have to search for a remote again or use voice control. 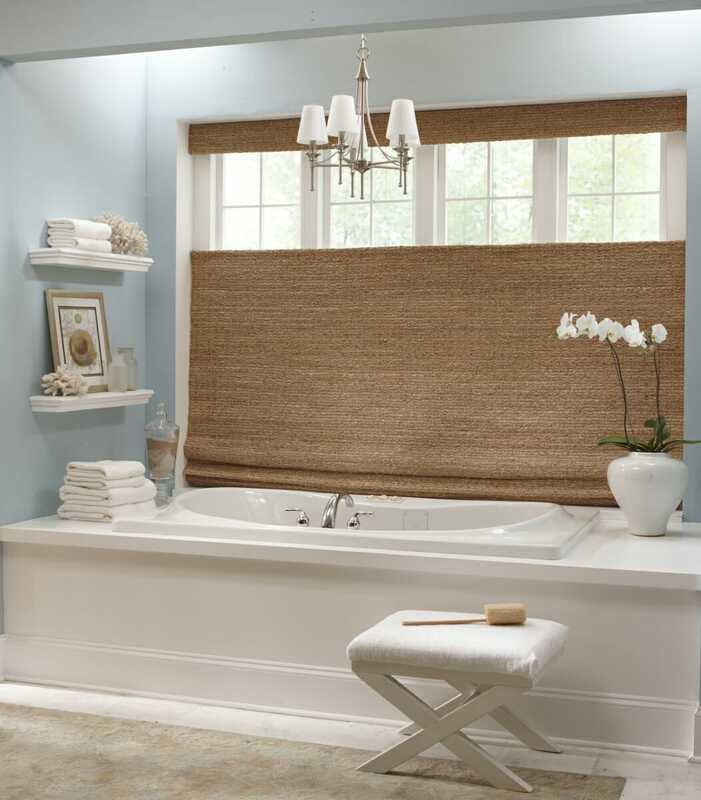 “Alexa, raise bathroom shade” If sheers are not your thing the a nice top down bottom up cellular shade is a perfect choice, motorized of course. If motorization is not in your budget then nice horizontal blinds with same-side controls allowing you to raise and tilt your blinds from one side vs. split controls. Many customers order wood shutters for their whole house and then frown at the idea of putting a vinyl or composite shutter in the bathroom. Many times with today’s larger bathrooms we can put a wood shutter in no problem without sacrificing the finish of the shutter.